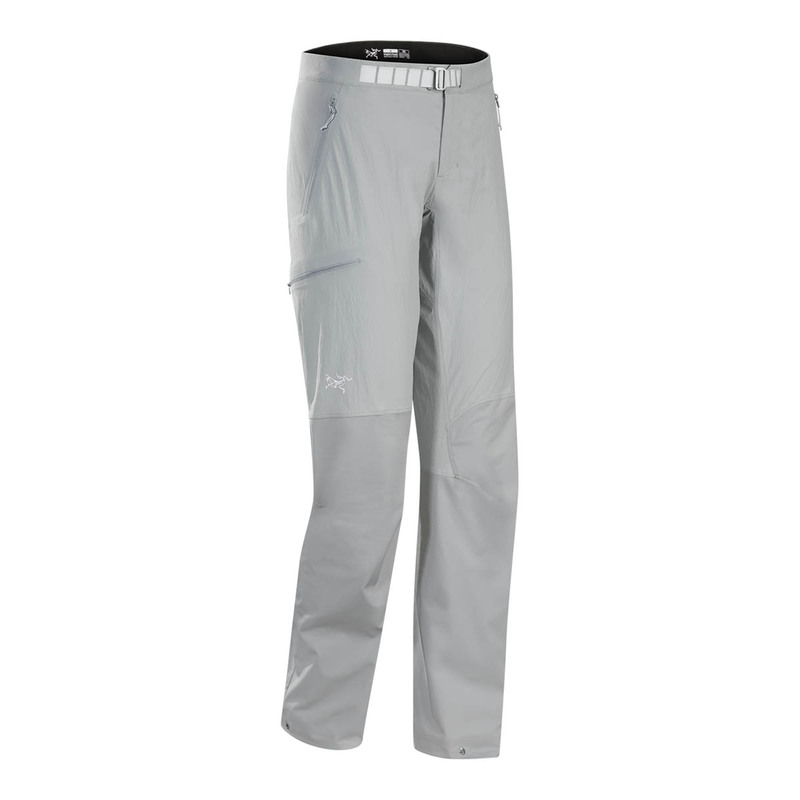 The Arc'teryx Psiphon FL Pants Women are durable, hybrid softshell mountaineering pants for fast and light alpine ascents. With a balance of durability and lightweight, the Arc'teryx Psiphon FL Pants Women consist of a light, wind-resistant TerraTex™ main body fabric, a more durable, air permeable Fortius™ 1.0 material in high-wear areas, and a DWR finish for water-repellency. TerraTex™ fabric is a lightweight, breathable, stretchy, quick-drying plain weave textile designed to allow the legs to move freely across rugged alpine terrain and climbing manoeuvres, with a breathability and quick-drying to help prevent overheating or uncomfortable, humid sweating. Fortius™ 1.0 is a durable, non-insulated, stretchy nylon/spandex blend textile which provides protection against harsh rocks without restricting the body's movements. The trim fit is articulated to move with the body, the tapered leg helps maintain a line of sight to the feet, and a drawcord at the cuff seals out updrafts and debris, and these pants also feature a grommeted hem that has drawcord closure to seal out drafts and debris. Alpine environments demand a lot from outdoor apparel. The Arc'teryx Psiphon FL Pants Women focus on achieving lightweight durability with weather-resistance for fast and light alpine ascents where stretch and breathability are key. Four-way stretch-woven nylon/elastane fabric offers air permeable, single layer performance for three-season conditions, and plain weave, comfortable summer fabric has a modicum stretch and is extremely lightweight, breathable, and quick-drying, with a UPF 50+ sun protection.